Pair with salty snacks and raw shellfish. 2012 Medici Ermete Quercioli Reggiano Secco Lambrusco ($12) Excellent Lambruscos like this one offer bubbles plus the backbone and fruit of a red wine. NV Zardetto Spumante Rosé ($17) Prosecco producer Fabio Zardetto turned to the little-known Raboso Veronese grape variety for this currant-scented bottling. 2012 Bellenda San Fermo Brut Prosecco ($19) Bright nectarine notes and an exotic spiciness make this Prosecco far more interesting than many on the market. 2011 Miguel Torres Chile Santa Digna Estelado ($20) The Torres family produces this crisp sparkler from grapes purchased under Fair Trade standards. 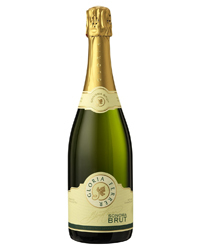 NV Gloria Ferrer Sonoma Brut ($22) There’s an appealing, toasty richness to this California bottling. Though it’s pale gold in hue, it’s almost entirely made from Pinot Noir.